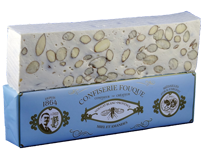 Download the 2017 prices (in French). 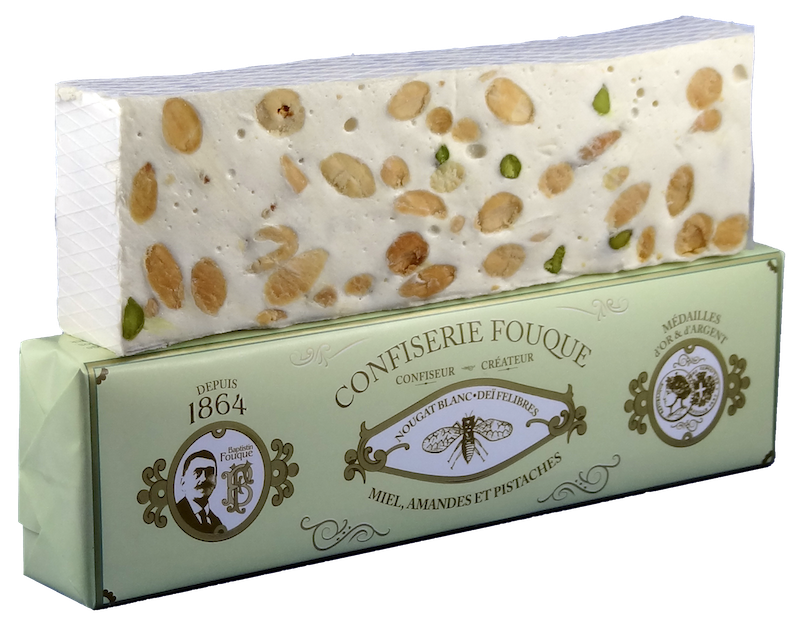 Classic white nougat with almonds. 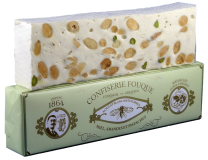 Ingredients: Honeys 31% (flowers ad lavender honey), almonds (30%), sugar, glucose syrup, egg white, wafer paper (potato starch, water, vegetable oil), vanilla flavoring. 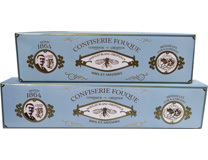 This product contains gluten. 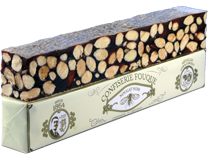 Ingredients: Honeys 51,5% (flowers and lavender honey), almonds (46,5%), wafer paper (potato starch, water, vegetable oil). 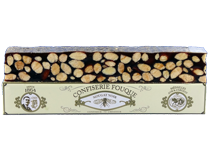 This product contains gluten. 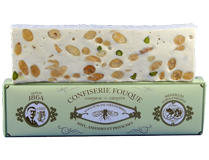 White nougat with roasted almonds and pistachios. 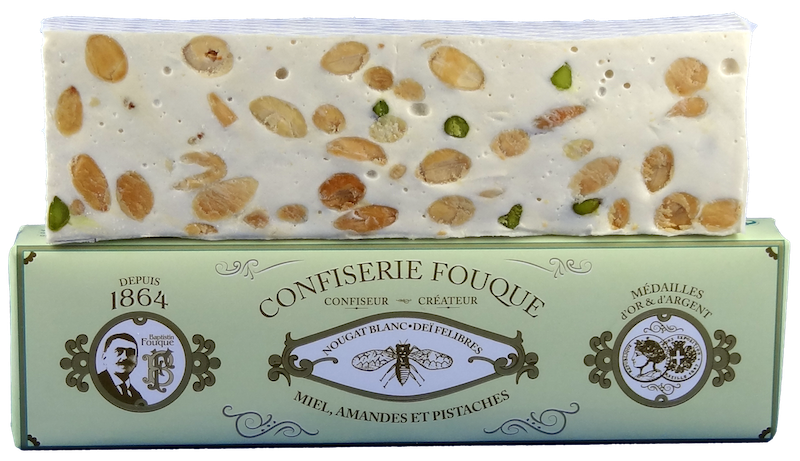 Ingredients: Honeys 31% (flowers ad lavender honey), roasted almonds (28%), sugar, glucose syrup, pistachios (2%), egg white, wafer paper (potato starch, water, vegetable oil), vanilla flavoring. 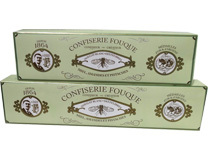 This product contains gluten. 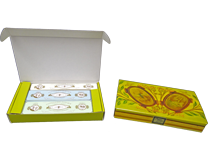 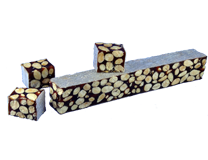 Selection of 3 kinds of nougats (Provence, Felibres and black) in 55g bars. 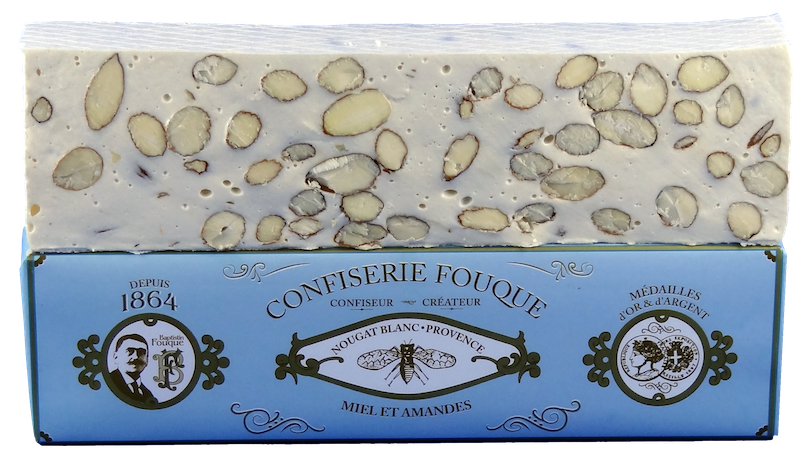 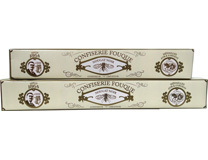 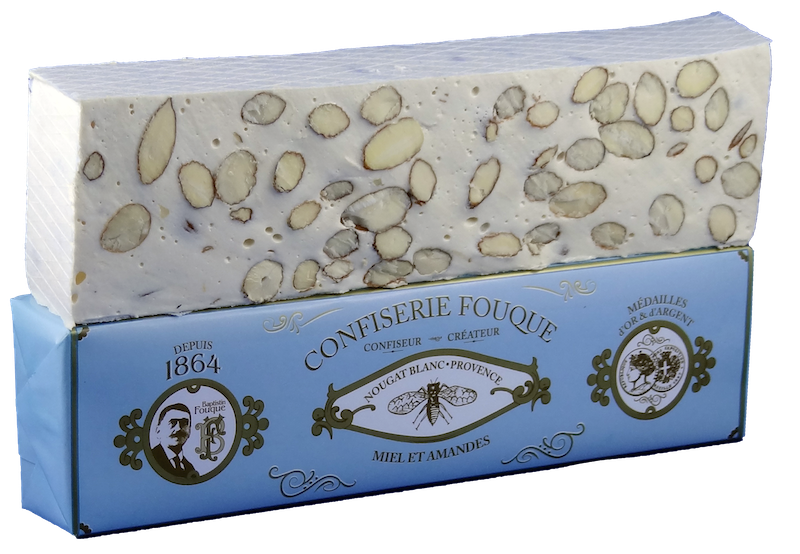 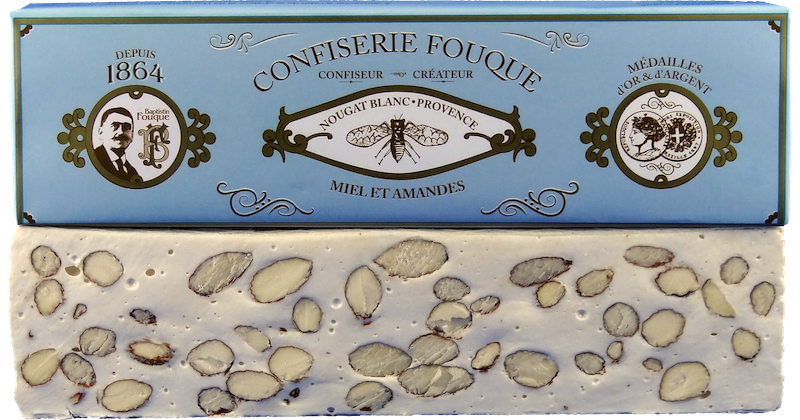 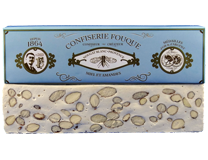 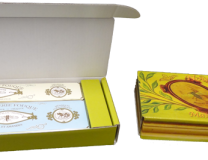 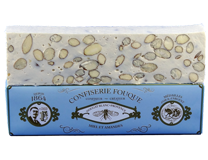 one bar of white nougat Provence (standard almonds), one bar of white nougat Félibres (roasted almonds and pistachios) and one bar of black nougat. 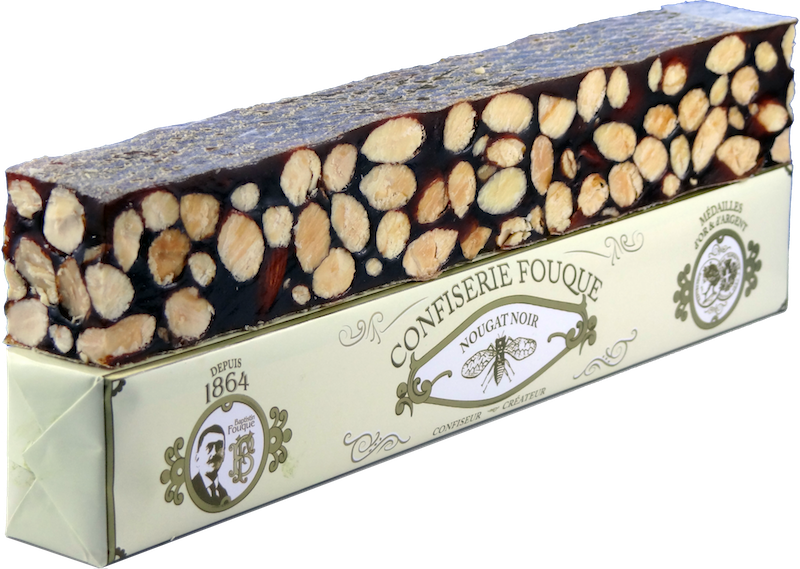 one bar of black nougat. 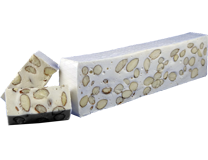 Selection of 3 kinds of nougats (Provence, Felibres and black). 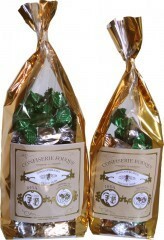 Mixed of 7g bites, wrapped individually.